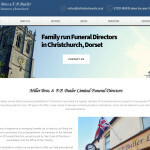 Over the summer we’ve been working hard to complete some of our new commissions – we’ve now launched The Body Rescue Plan Christchurch and Miller Bros Funeral Directors new websites! 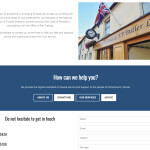 We redesigned the Miller Bros & FP Butler Funeral Directors website. 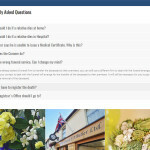 Their old site was an HTML base, not in keeping with their business colourings, not mobile friendly and showcased very old stock imagery – it was time for a change! 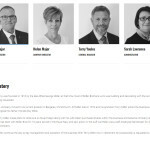 We photographed brand new locations imagery including their shop fronted premises, imagery of their location of Christchurch as well as new head shots of the key team members. 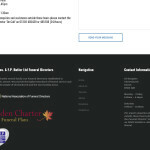 We designed their website around their simple blue, white and black business colours – ensuring the vital contact information was easy to find on every page. 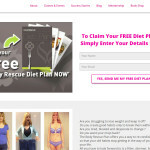 We also re-wrote their text and on-page SEO for better search rankings based on their target audience and location. 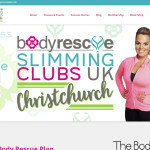 We’ve also launched a new franchise for the Body Rescue Plan in Christchurch! 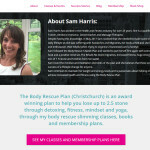 A brand new website and business for Sam, who bought into the Body Rescue Plan franchise over the summer, and needed a website to showcase her services in the local area. We helped her with everything from domain & hosting purchase right through to website design, SEO and troubleshooting of software and apps. 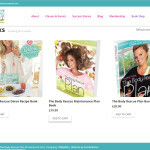 Her website includes information pages, an online shop, membership area, marketing sign up forms and affiliate seller links.